Take action to give homeless cats a second chance! For less than a $1 a day you can sponsor a "Lanai Lion" at the Fur Seasons. Adopting in place is a popular option for those who can't take a cat home but still want to help. You'll receive an adoption certificate and periodic photo updates on how your adopted kitty is doing. When you sponsor a cat in place, you give the gift of a life-long home, high-quality care including doctor's visits and everything needed for health and happiness. We are the only animal rescue organization on Lanai, and operate with no frills - we don't even have electricity! Because we are located on one of the most isolated islands on earth, all of our food and supplies are either flown or barged in. Your donation goes directly to helping our feline friends at the sanctuary. Sponsorship makes a great gift for loved ones with a guaranteed blessing for your compassion for cats. Sponsor a cat for $30 a month or $360 a year. If you have a specific cat you'd like to sponsor, you can enter their name after you click "Donate." 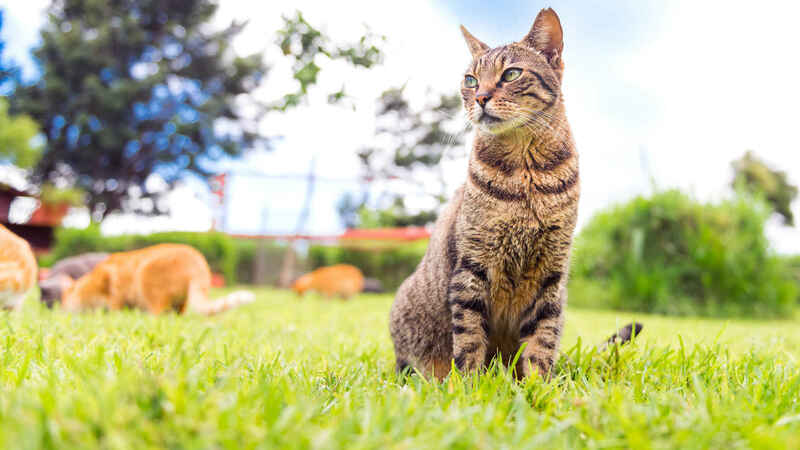 Lanai Cat Sanctuary is a 501(c)(3) nonprofit organization. Your incredible efforts to help the birds and cats of Lanai warm my heart. Thank you for protecting these beautiful populations! If I had the money, I’d open my own sanctuary!! I am happy to adopt "Mack" in place so she can continue to enjoy the wonderful environment at the Lanai Cat Sanctuary. Thank you for what you do! Thank you for all your hard work for the benefit of the beautiful island of Lanai, its people, its birds and its cats.